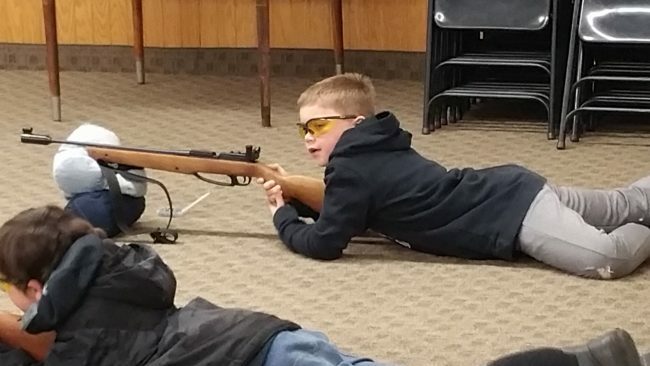 4-H Air Rifle SPIN Club took aim as they participated in the first session in a series of air rifle trainings. The objective of this program is to teach shooting skills, safety and ethics for youth interested in shooting sports. It provides a safe, controlled environment for learning responsible use of firearms. Jim Schonke, a certified Wisconsin 4-H Shooting Sports Leader, is the program coordinator, along with Nicole Schonke, a certified 4-H Leader. The program participants include Blake Carlson, Kennedy Carlson, Lauren Carlson, Ava Caturia, Jack Juliot, Dominic Moline, Connor Moskwa, Silas Myren, Spencer Myren, Timothy Peterson, Dawson Traun and Ella Traun. 4-H is a national youth organization that strives to develop important life skills in young people, helping them to become responsible, happy, productive members of society. A 4-H SPIN Club (Special Interest) is a bit different from the traditional 4-H Club. It is a club where four or more young people ages 9-18 gather with a volunteer leader for at least six sessions to learn about a selected topic of interest. 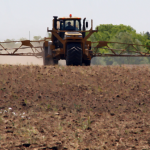 Topics can vary according to the volunteer’s expertise, including the natural sciences, science and technology, photography, music, gardening, shooting sports, and more. 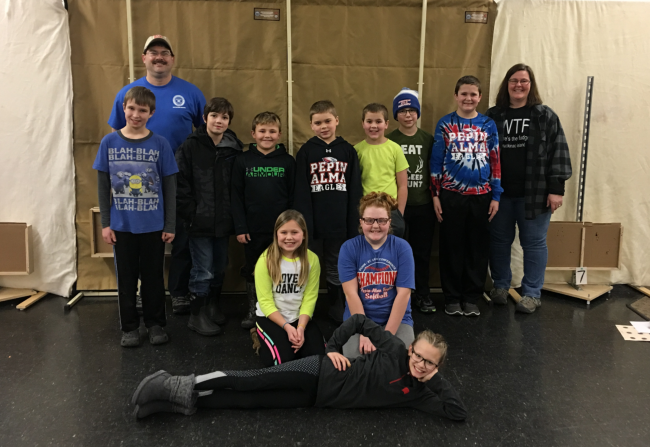 The 4-H Air Rifle SPIN Club will continue through March of 2019, meeting every Tuesday evening from 6-7:30 pm, it is open to all 3rd grade and older youth in Pepin and Buffalo Counties. 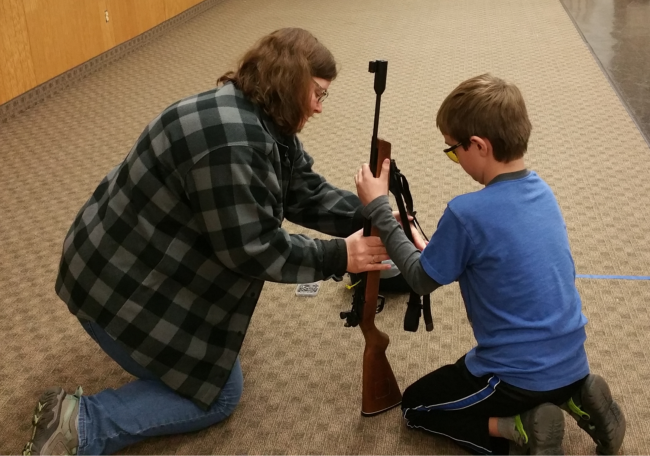 For more information on the air rifle program or joining 4-H contact Marie Ritscher at marie.ritsher@ces.uwex.edu or call Extension Pepin County at 715-672-5214. The 2019 Air Rifle 4-H SPIN Club participants at their first session of the year. Jim Schonke, 4-H Air Rifle Leader, teaching shooting sports skills. A SPIN club member receiving assistance from Nicole Schonke. Youth practicing to improve their air rifle shooting skills. 4-H Camp Kinnissippewa Forms and Registration are Here! Let’s warm things up a bit and think 4-H CAMP! Yes, it is right around the corner. Here are the updated forms for 4-H Camp Kinnissippewa: Camper Registration Information Camp Counselor Position Description Camp JD Position Description Camp Counselor Application Registration is open for camp counselors and campers too!